Nancy discovered her passion for human movement on the ski slopes of Steamboat. She spent 15 years as a professional ski instructor, fascinated by how people moved and how the body interacted with skis and snow. She earned her Alpine Level III Certification (full alpine) and then continued her study of biomechanics, graduating from the University of Colorado Health Sciences Program with a Masters of Science in Physical Therapy. Frustrated with the limitations of some traditional practices of physical therapy, Nancy pursued certification in Functional Manual Therapy™ through the Institute of Physical Art (IPA), the national accrediting body for FMT™. She earned Functional Manual Therapist Certification and continued as a Fellow in the Director’s Program, mentoring under Gregg Johnson and Vicky Saliba Johnson. Nancy is now a member of the faculty of IPA, teaching Functional Gait and Functional Mobilization Lower Quadrant to physical therapists around the country. 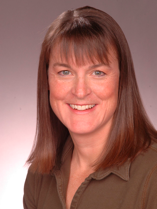 Always seeking to deepen her understanding of how the body should move, Nancy earned a Fellowship in the American Academy of Orthopedic and Manual Physical Therapists (FAAOMPT) in 2009. Nancy specializes in diagnosing and resolving chronic injuries, pelvic dysfunctions (especially involving the coccyx), and retraining movement patterns both of injured areas and the whole body. Nancy has ridden horses since she was 4 years old. She owns two horses, Calisto and Finn, with whom she competes at a high level in the equestrian sport of dressage. She teaches clinics on rider biomechanics and posture. Nancy lives in Lafayette with her husband Ken and two cats, Meika and Sadie.